We live in a densely packed over-55 community and it’s been weeks since Halloween. What the heck could some retired person want with our pumpkin? It was big, heavy, not carved. Barely moveable. An immediate scan of the area yielded nary a clue. Maybe the pumpkin-napper had taken it away in an SUV? We were stumped. Then yesterday Stan happened to notice something semi-round and orange laying on its side beneath a nearby Arizona rosewood tree. Our Pumpkin! Now a mere shadow of its former self, cleaned out through a hole chomped through its side. 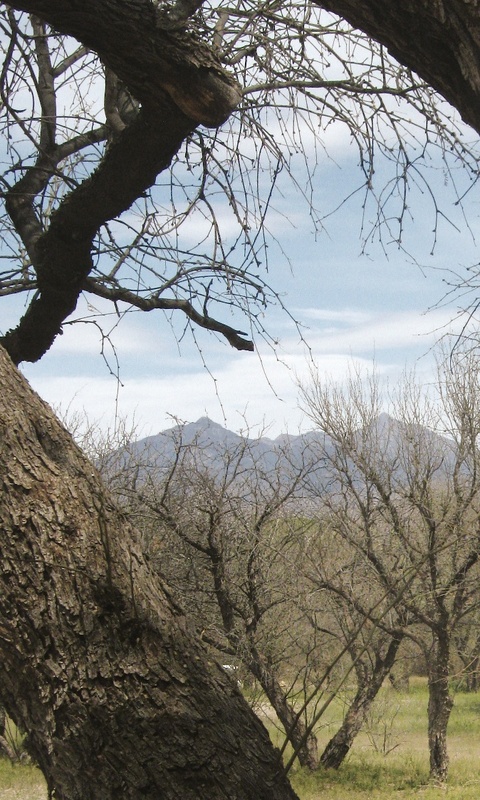 I wonder: What will the neighborhood javelinas eat next? We’ve had two whopper storms to kick off the winter rainy season. The first, October 25, brought sheeting rain, unbelievable wind and waves. 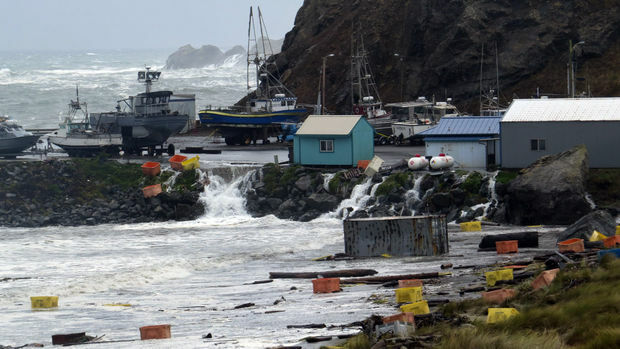 The Port of Port Orford, which we visited in the morning, had, by afternoon, sustained heavy damage, in the end estimated at over $1 million. 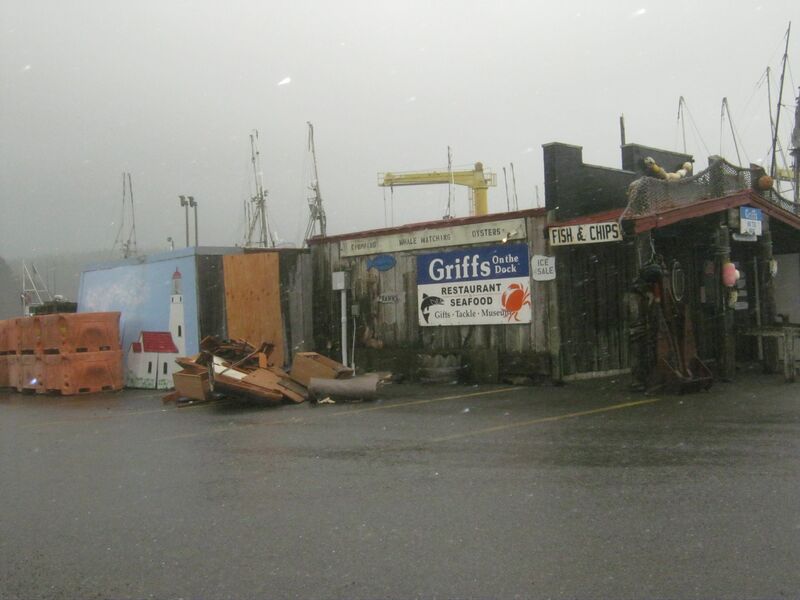 No people or fishing vessels were lost but a fish processing building went over the edge taking numerous fish storage tanks along, the Port office had 18” of water, waves topped the rock jetty damaging it, and one side of Griff’s, a seafood restaurant on the dock, was pushed out. The surf was amazing, totally covering the port beach and the wind was so strong our 10-year-old grandson had to run to stay in place at the overlook. 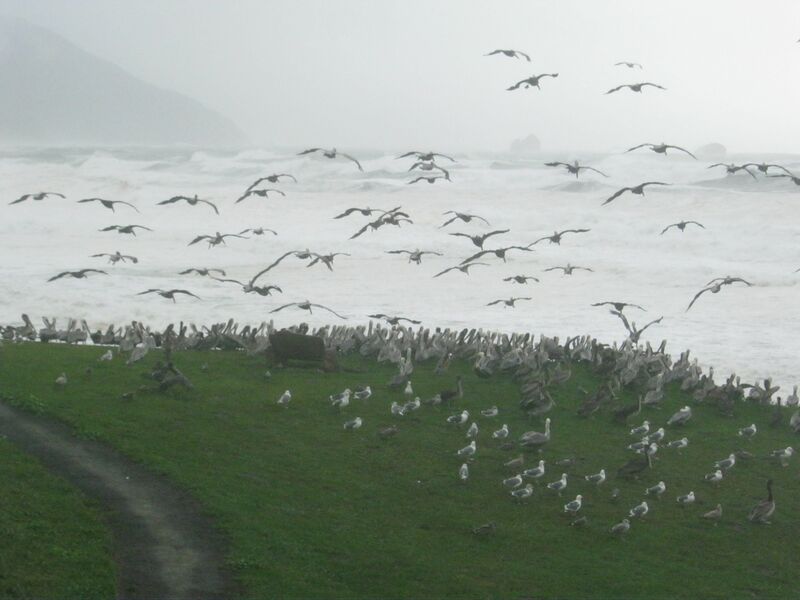 The pelicans and seagulls came onshore en masse and hunkered down to wait it out on the headlands. The second storm, which hit Port Orford Friday managed to tip over half a trailer home on Highway 101 just where it enters Port Orford from the south. (I guess those high profile vehicle warnings on the weather went unheard or were ignored. They were predicting 70 mph gusts!) The wind and rain was hard enough to wake me up Friday night but by Saturday all was just a passing memory. Today, the sun is shining. And the streets are dry. No one can say the weather around here isn’t dramatic. A movement to fight climate change has real people power. More companies are recognizing that halting deforestation is good PR. There’s growing pressure to help the world’s most vulnerable countries. On to the UN’s next Climate Change meeting, scheduled for Paris next winter. 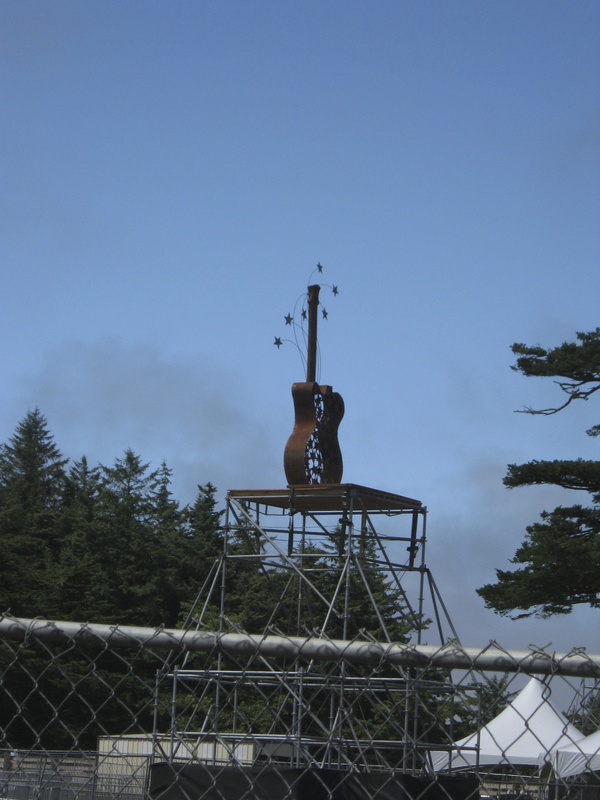 I took a little trip up Cape Blanco Road just before it began (mid-August) to see first hand what this music festival had in mind. They claimed 15.000 people were going to be involved. I saw the beginnings of the stage construction and a bunch of little red flags to show the rows marked out for RVs in the sheep pastures. Really, not much else. As one who was around for Woodstock, I expected the worst. The Whole of Curry County (that’s including Brookings and Gold Beach) is only 22,000+. So, the organizers expected to add about 75% extra to our area for three days. I could only think: sanitation (not enough), water (ditto), beers (too many) and brawls (ditto), ground fires for warming up (It was Cold) going crazy, igniting across the gorse. 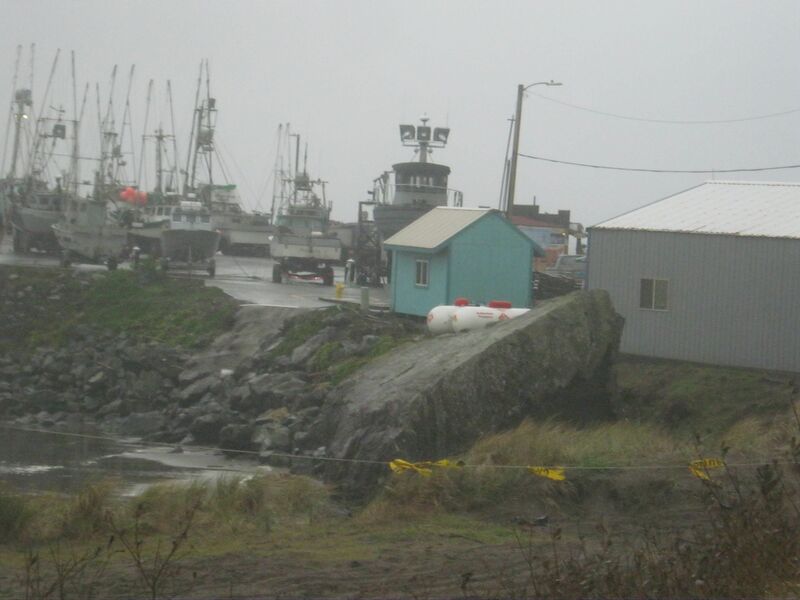 Another Port Orford/Bandon disaster. As in burning to the ground. You know what? Nothing of note occurred in Port Orford (we are about six miles south). 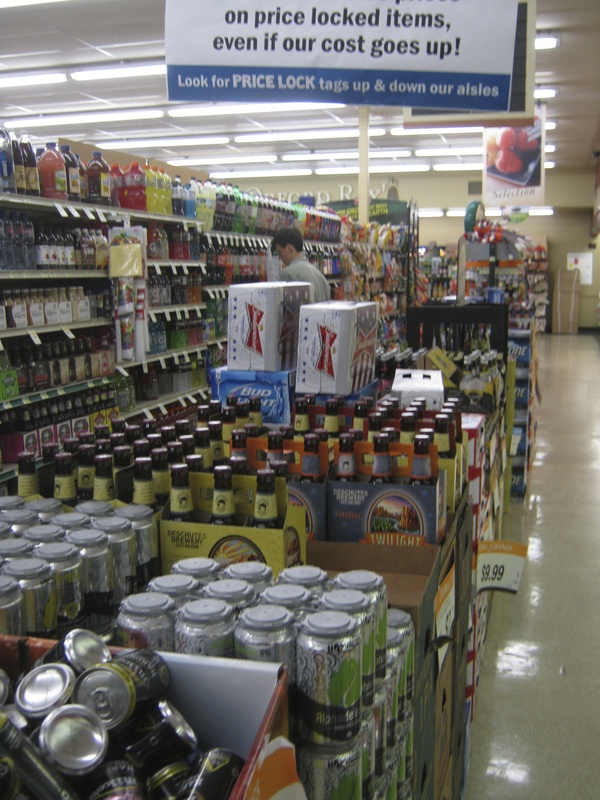 I guess more folks got drinking water and beer at Ray’s but honestly, there was no noticeable increase in traffic on 101, even if Ray’s aisles were blocked in with cases of brew. Other than that? Well some vendors told me it wasn’t perfect, and I can imagine the gale force winds were a surprise for many. But, for us townies it was as a passing breeze. I’m still not really convinced that there were 15,000 folks around that weekend. But that’s just me. 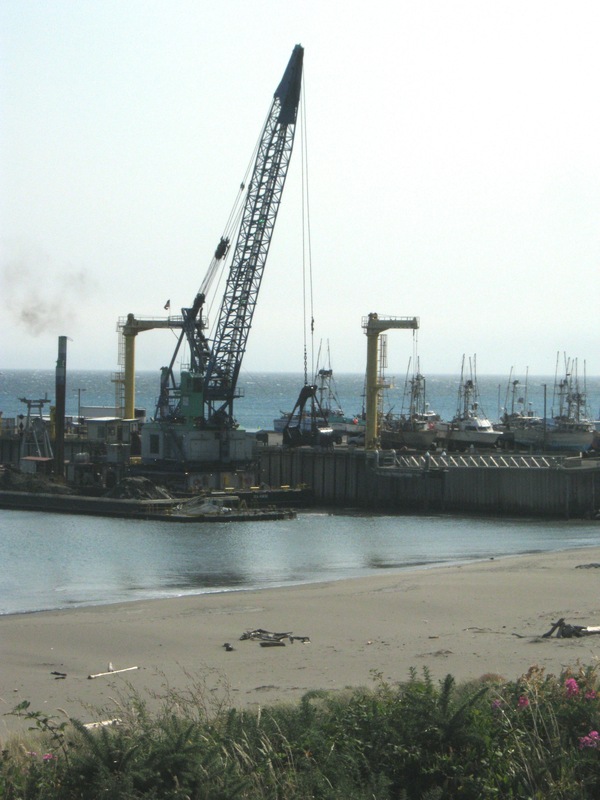 There’s a Dredge at the Port of Port Orford! This apparent lack of interest in such an important Port Orford happening seems baffling. 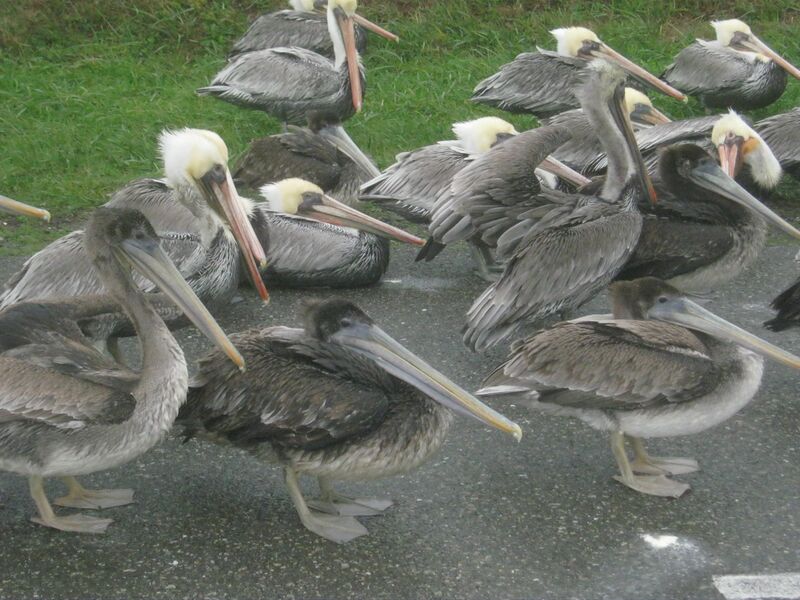 Remember the 2012 “Put the Port Back in Port Orford!” campaign calling attention to its ongoing shoaling problem? People with buckets, wheelbarrows and shovels, hit the beach at low tide and “dug out” a mock channel. Fishermen talked of using their boats’ propellers to churn away sediment. Grim predictions of the port’s demise were heard around town. 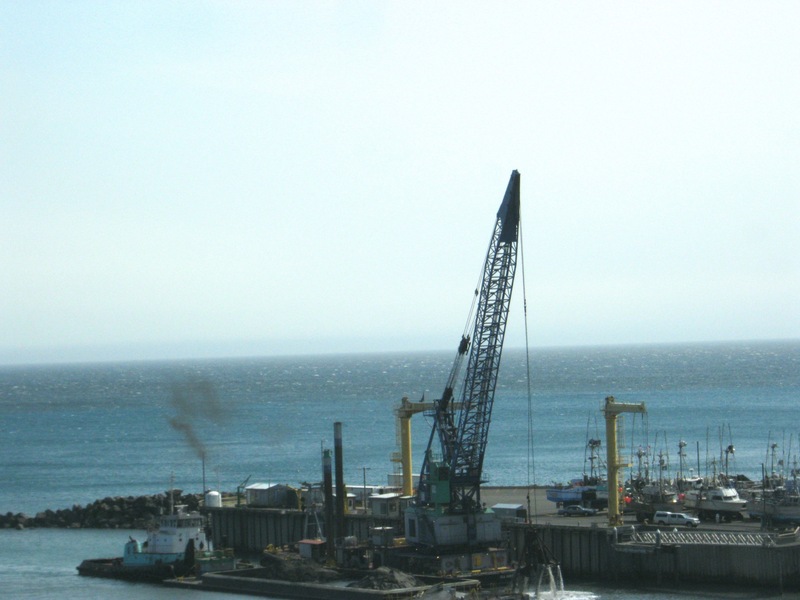 But now in August, 2014 a Corps-contracted dredge has arrived. It began scooping spoils mid-afternoon on Sunday July 27th, after leaving its previous mid-July job at the mouth of the Rogue. 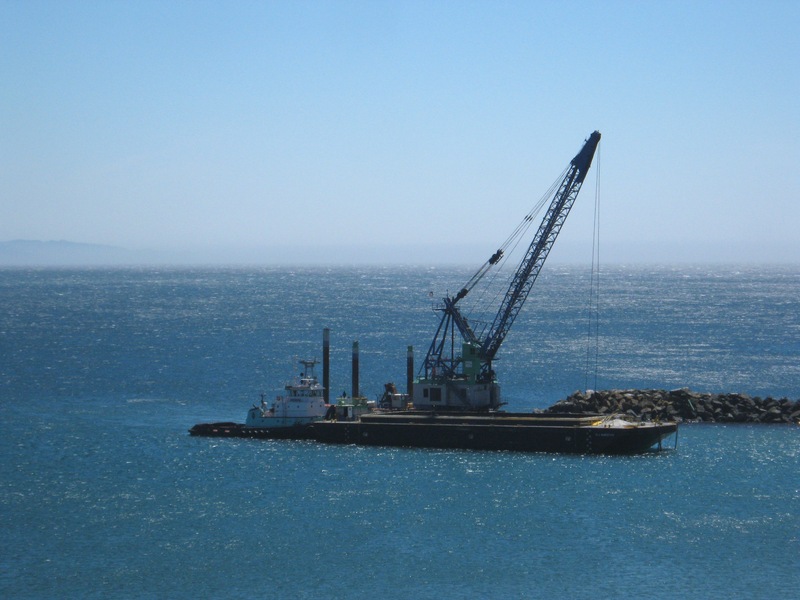 HME Construction’s dredge is working round the clock and is expected to complete the dredging ahead of schedule! So, we’re getting the dredging, 40,000 cubic yards of spoils removed in record time. And, according Courtier, the Port’s also gotten a grant and is in the process of purchasing a pump, pipes and generator which will be shared with Brookings and others for remedial dredging work. 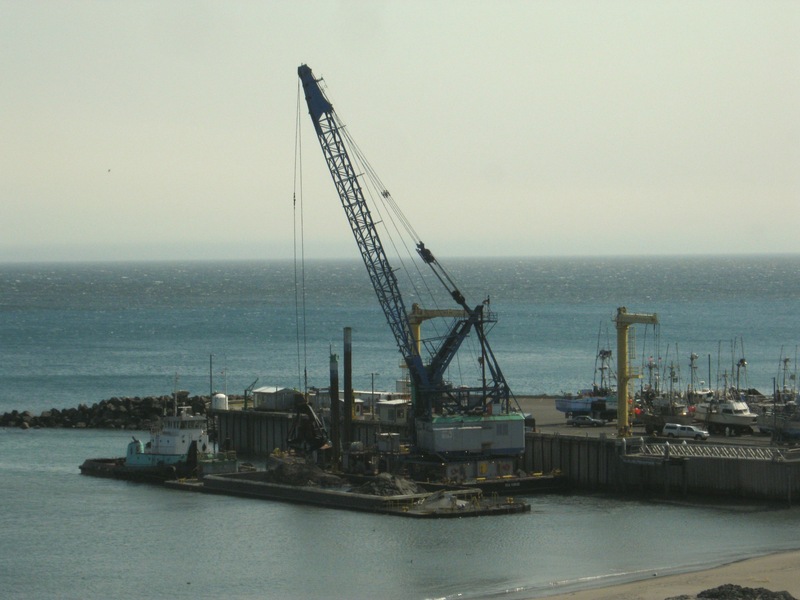 It also appears the Corps has re-committed to dredging Oregon’s small ports into the future. 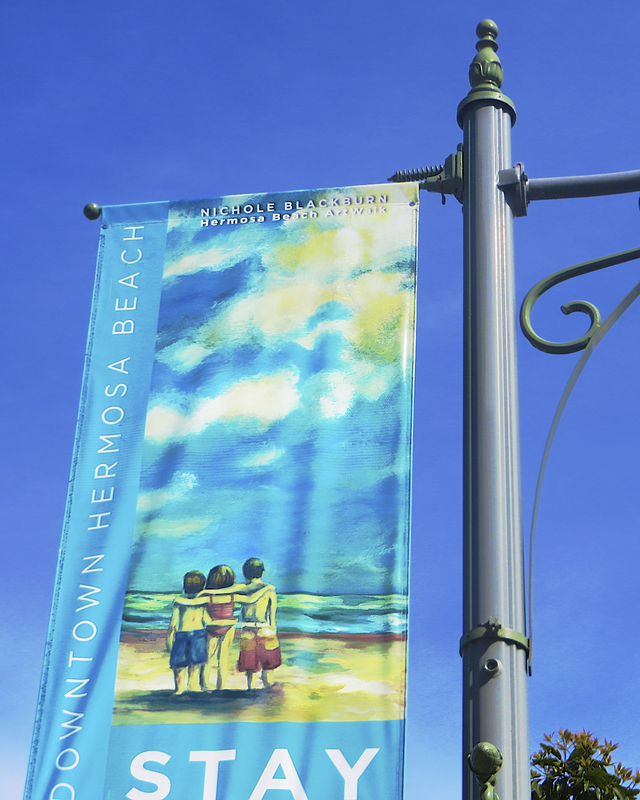 It sounds like a win-win-win for Port Orford to me. So where’s the town-wide celebration I would have expected? Maybe last Saturday’s Blessing of the Fleet extended to HME’s dredge. 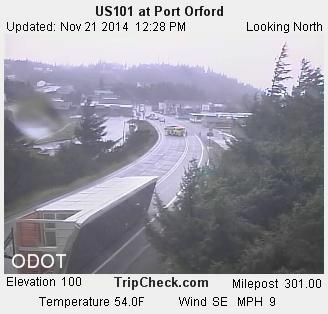 At any rate, it looks like the Port really has been put back in Port Orford. And hooray for that! Wondering what that outsized filling-station-looking tank is on the west side the Seacoast Center parking lot? 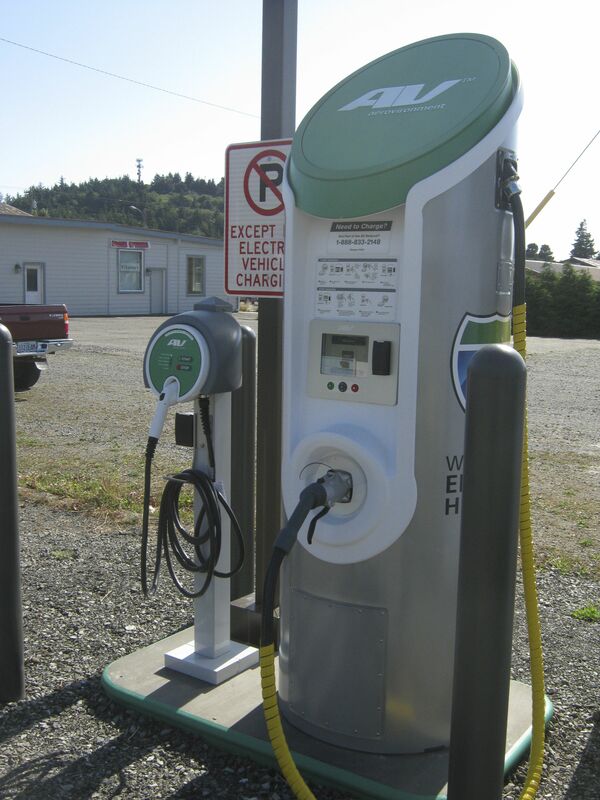 It’s another sign of Port Orford’s exciting movement forward as a community—we’ve now got our very own electric vehicle charging station! 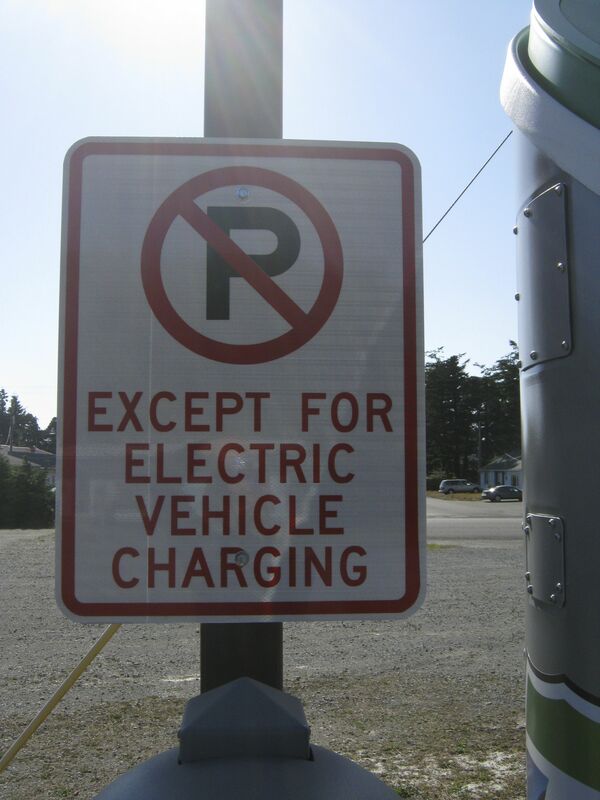 This station has been provided compliments of Oregon Department of Transportation, and there’s only one more station to go in Brookings to make it possible to drive an electric vehicle (EV) along the entire Oregon US 101 Coast! 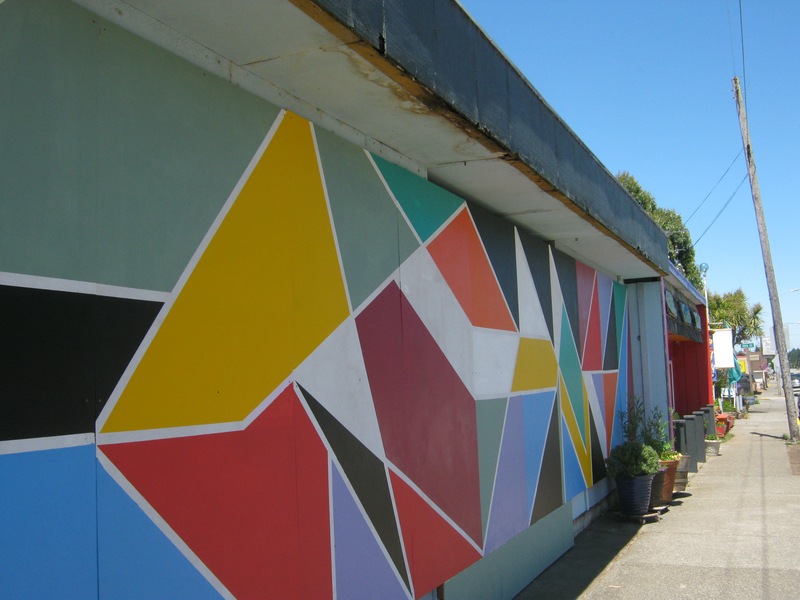 This is great news and a potential major new attraction for folks to visit our deep south coast. And for now, it’s fast and free! Thanks to ODOT, the US Department of Energy and Oregon’s Chief EV Officer Ashley Horvat. It’s been a long time in the making but now you can travel EV along the entire length of I-5 in Oregon. And soon, along the coast as well. It’s fascinating the news you hear if you’ve been away for six months from your small town home. Since returning I’ve approached friends and say “So what’s new?” Usually the initial response is something like “same old, same old.” But give people a moment and they remember all sorts of things: from the failed mayoral recall (and yes it did cost the City A Lot! of money we don’t have to spare) to the new bike shop, a new kayak to a new home. People got married; other people died. Oh and the renovated hardware store isn’t open yet; maybe for the 4th. The Friends of the Library won’t field an entry in this year’s 4th of July parade. But they’ve got a bunch of American flags to sell and wave at those who are. 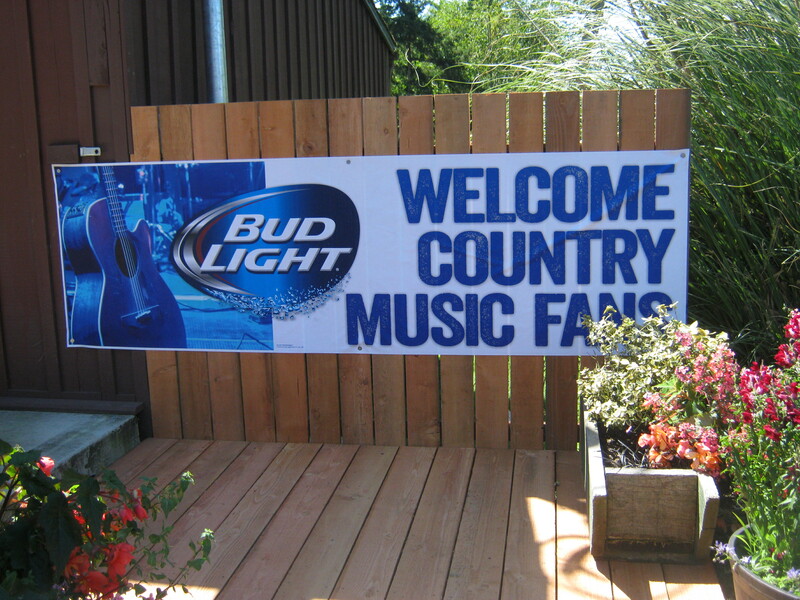 Sort of everything you’d expect in Port Orford. For me, the most visually stunning change is to the facade of an old falling down building in our “downtown”, that’s condemned but no one seems able to figure out how to get it torn down. Through the grape vine I heard local Main Street folks decided to at least paint a giant mural on plywood tacked to the front of the building. 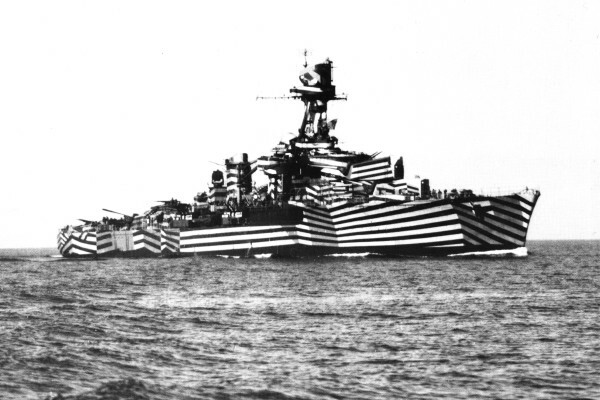 Here’s an artist’s rendering of another pattern, this one in color. 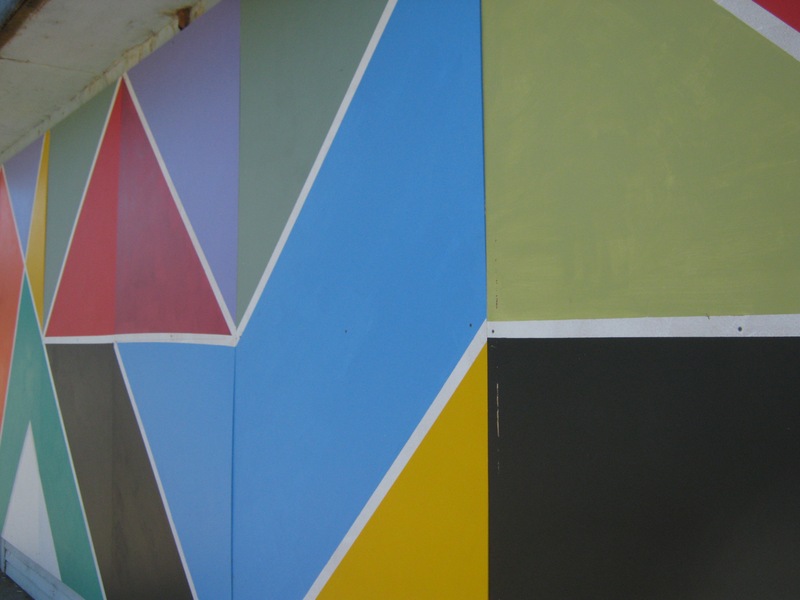 Perhaps this is what inspired our new downtown mural. While it doesn’t hide the building, it certainly updates the facade. And it can break up passing drivers’ concentration pretty well too. "Elsewhere the sky is the roof of the world; but here the earth was the floor of the sky." All Content and Photos Are Copyrighted. All Rights Reserved.